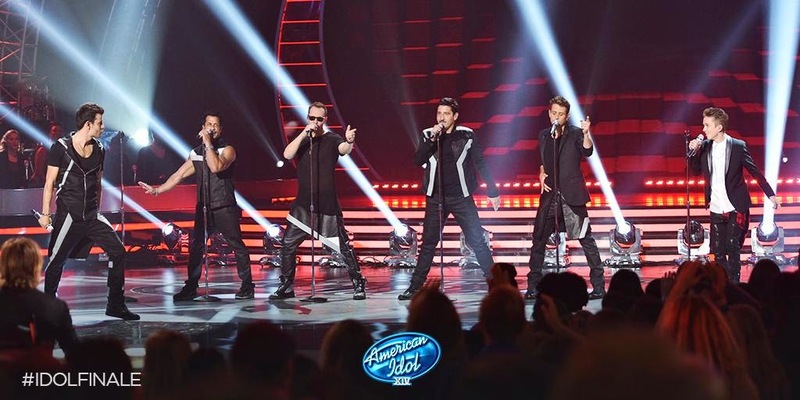 New Kids On The Block delivered a medley of their hits during the season 14 finale of American Idol on Wednesday. The pairing was part of the special 2-hour finale that also included performances by Fall Out Boy, Ricky Martin, Steven Tyler, Pitbull and others. NKOTB are currently playing dates on The Main Event, a tour that includes special guests TLC and Nelly. Launched just a few weeks ago, the 2-month North American run will wrap up in Buffalo, NY on July 2.